Codependency is a normal way of functioning for many family members, partners and friendships. The crazy thing is, I didn’t even know what this was until I entered the mental health field. Say what? 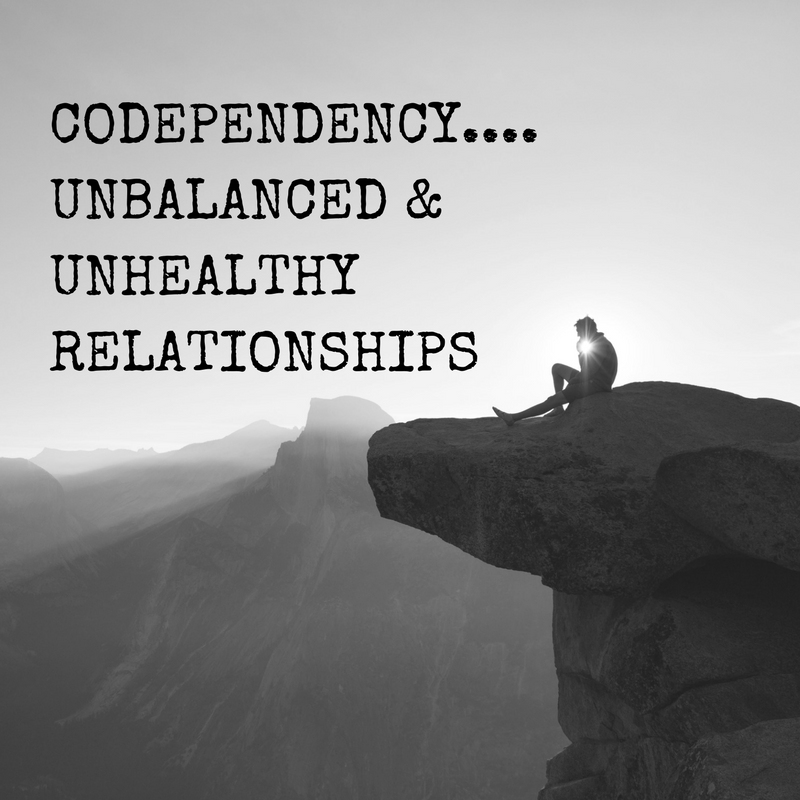 Most are unaware what codependency is, but its reach is great and its impact is deep. When an individual is codependent, they are in an unhealthy relationship with someone struggling with addiction, a trauma or a mental health disorder. This can apply to a parent, sibling, grandparent, spouse or dating partner. It’s a frustrating state to be in. Sometimes it is more of a frustration for those on the outside observing these behaviors. For parents, siblings, friends, etc. watching someone be in an unhealthy relationship can be heartbreaking. This form of a relationship is unhealthy, but typically layered and complicated. Both individuals find purpose in the dysfunction. There is insecurity, distrust and deception on both ends. On any playing field this does not fare well for either individual. When we break it down most of us will know someone this applies to. The first red flag is when an individual is trying to fix someone else. What does this mean? Whether it be someone’s drinking, pill popping, depression or raging anger it can all fall under this umbrella. It’s cleaning up the broken bottles before anyone notices. It’s putting all of your effort into making the depressed spouse happy again and again. People aren’t broken lamps to reassemble. One of the biggest lessons I have learned as a counselor is that the individual that is hurting must want help more than the person pushing them to receive it. That’s a bear of a lesson. Let me distinguish that there is a difference between fixing and providing care and attention to someone you care for. Stepping up to the plate when a loved one is hurting or taking on extra ‘to dos’ around the house doesn’t equate to codependency. Sometimes relationships are unbalanced. In the realm of codependency the see saw is nearly always tilted to one side. It’s a matter of obligation. It’s the desire to fix, while inattentive to their own needs. They feel unworthy of love while having difficult setting boundaries. Saying no is unnatural and uncomfortable. This type of relationship is unhealthy, rigid and doomed for heartache. So here’s the deal, our young people are at higher risk to gravitate towards codependent relationships when these behaviors have been exhibited at home. Whether it’s an alcoholic father, mother suffering from PTSD, a physically abusive grand parent the likelihood that their wiring will mimic what mom, dad, sister or brother displayed is greater. I am not saying every young person exposed to addiction, abuse or mental health disorders is bound for codependency. There is just a higher risk of it. There’s a subconscious desire to do as mom or dad did. If that’s fixing that’s what they believe is normal. If that means gravitating towards the hurting and broken that’s what feels right. It’s a level of enmeshment and dependency that can be toxic. The one attempting to ‘fix’ needs adjustment themselves, big time. The one who is on the receiving end of being ‘fixed’ also needs re-alignment. But they cannot be rewired or readjusted without there being some form of emotional and physical detachment. So where do we go from here? So if you have red flags going up, where do we go from here? Let’s go with you having a decent relationship with this individual. I would encourage you to do your homework. Write down examples that you have observed. What are your concerns? Discuss your concerns privately, informally and in a comfortable setting. Do not be confrontational. If this is your teen, chat with them. It’s not too late for rewiring and readjustment. Not doing something will only make matters worse. If home has been a source of the problem encourage outside counseling. Your words may not seep as far as you would like. That can be frustrating. Our internal hard wiring can be difficult to change, but it is possible. The friends, dating partners our kids gravitate towards will lay the groundwork for how they function as adults. That can be an empowering thing or heart breaking. If you have concerns, chat with your young person. If this pertains to a spouse, friend or sibling reach out. I believe that it’s never too late for change to take place. Change is not possible without the realization that something is wrong and needs to be addressed. I challenge you to take some time to reflect on what codependency is. Who do you know or care for that this applies to? In what ways can your own relationships be healthier? We must be willing to reflect, grow and listen as parents, siblings, friends and co-workers. I hope you choose to rock out that challenge this week.